Video: Watch the instructional video related to Contour Lines and DTM: here. 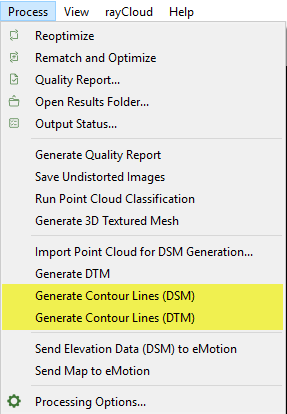 Access: On the Menu bar, click Process > Generate Contour Lines (DSM or DTM) (active once step 3. DSM, Orthomosaic and Index has been completed and if any Contour Lines format is selected in the processing options). For step by step instructions: How to generate the Contour Lines. the Raster DTM, if it is already generated. For more information about contour lines using the DTM: Contour Lines using the DTM. the Raster DSM, if the raster DTM is not generated or if the DTM tiles are not merged. For more information about contour lines using the DSM: Contour Lines using the DSM. Important: The option to generate the Contour Lines is grayed out if the option to merge the tiles of Raster DSM or Raster DTM are disabled. For more information about the options of the Raster DSM: Menu Process > Processing Options... > 3. DSM, Orthomosaic and Index > DSM and Orthomosaic and the Raster DTM: Menu Process > Processing Options... > 3. DSM, Orthomosaic and Index > Additional Outputs. If contour lines with the same Elevation Interval are already generated, they will be overwritten. 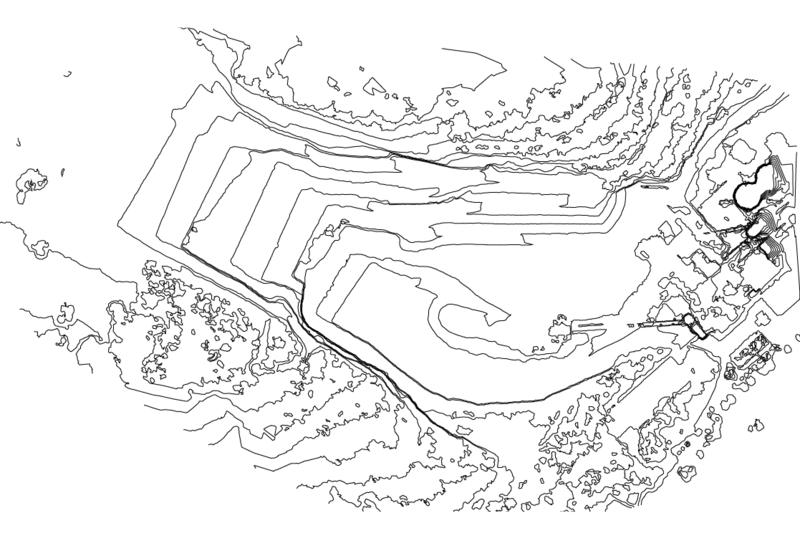 If the Contour Lines have been selected in the processing options, they will be generated when processing step 3. DSM, Orthomosaic and Index.